Summary - Since the Sniper only has one other SMG alternative, there isn't much that's changed in terms of this part. 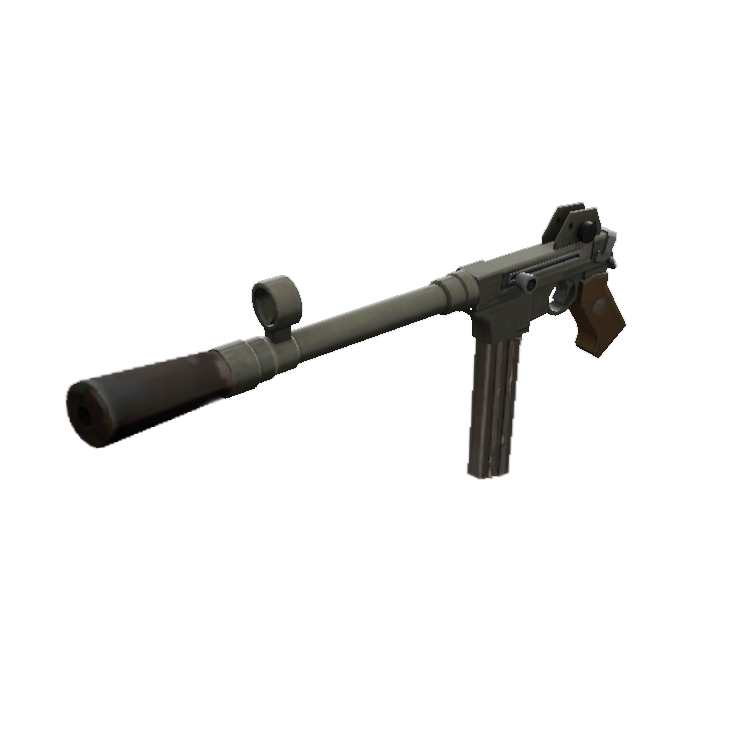 Although, the bullets are now "infused" with Jarate, so each bullet will now deal mini-crits, boosting this weapon's damage from 80 DPS to 110 DPS. However, this leaves the Cleaner's "Crikey" ability in an odd spot since it's supposed to also grant mini crits. I know it's odd, but I'm kinda forced to do it this way, it's not completely useless though as you can at least activate it for your primary/melee to be able to deal mini crits with those. 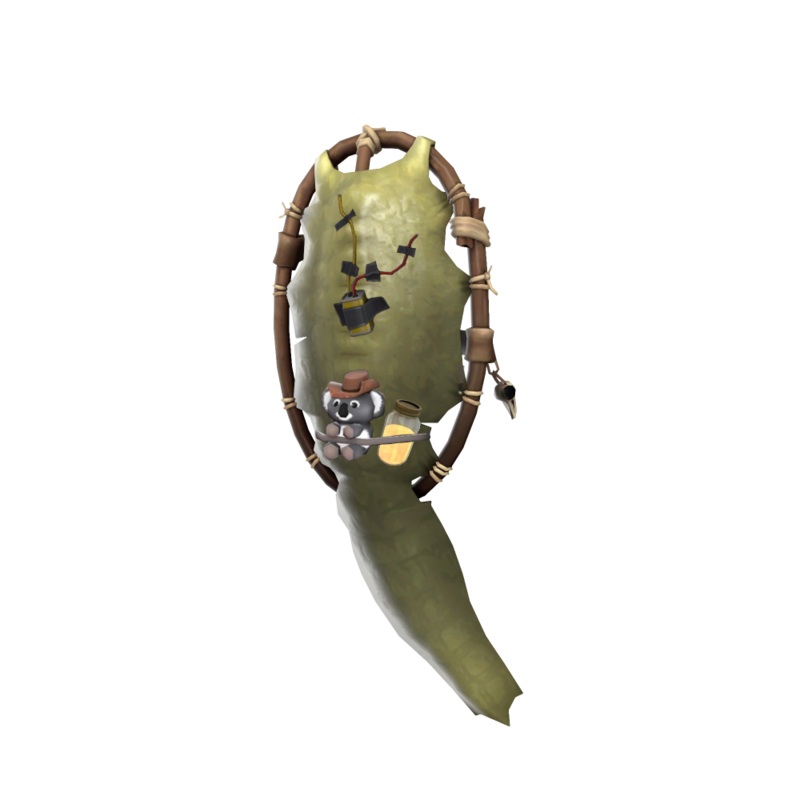 This leads us to the backpack items; You self regenerate health, have immunity to afterburn, and can block backstab attempts. 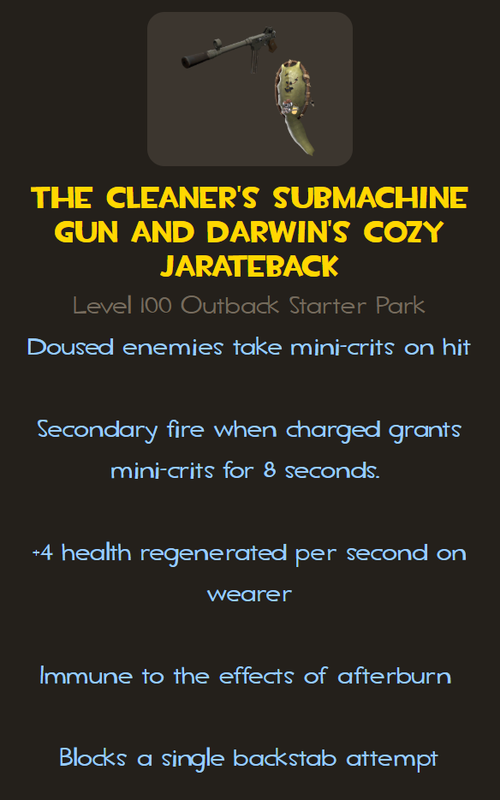 It's probably not overwhelmingly OP, but it's a pretty juicy boost to the Sniper's survivability. 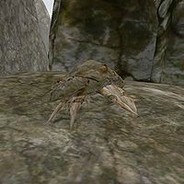 Mudcrab Is it possible to learn this power? 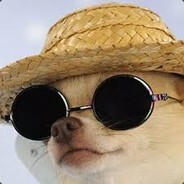 There was a glitch that allowed you to merge the DDS and the razorback on the sniper, allowing you to creage a super shield.